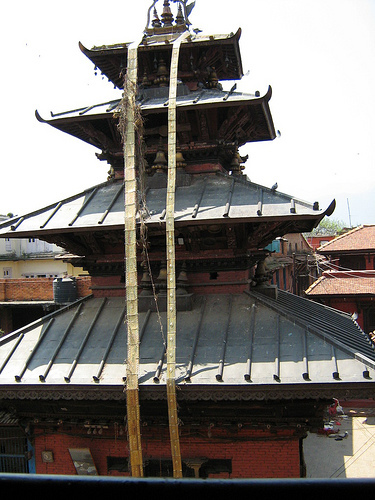 Welcome to Harisiddhi village, a village of cultural and religious monuments.Harisiddhi village is situated about 10 km south from kathmandu,the capital city of Nepal. 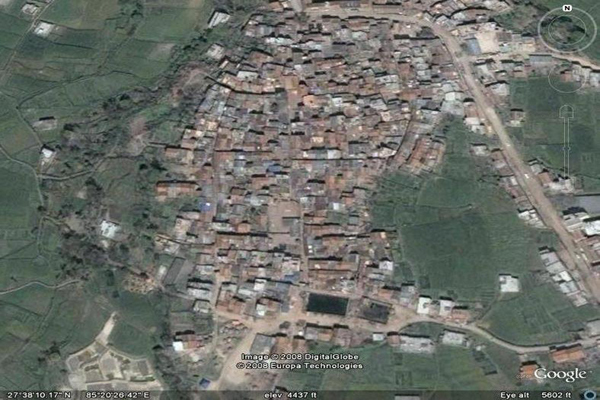 It lies in Lalitpur District and Bagmati Zone. 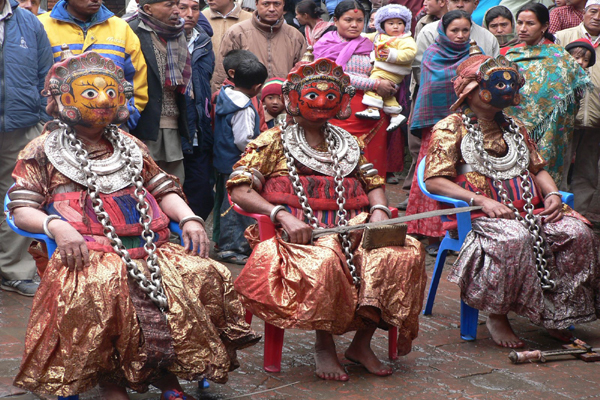 The total population of Harisiddhi is nearly 6,503.Harisiddhi village has ancient cultural heritages like festivals, events, ceremonies and other cultural aspects.Harisiddhi is a smal newari place located on the way to the Godawari, famous for its cultural and religious monu ments. 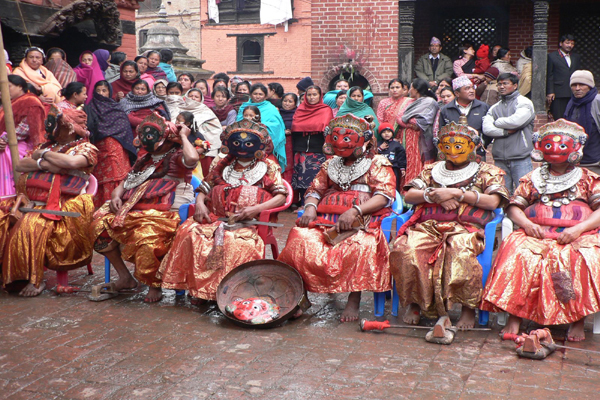 Harisiddhi is famous for its cultural and religious activities. 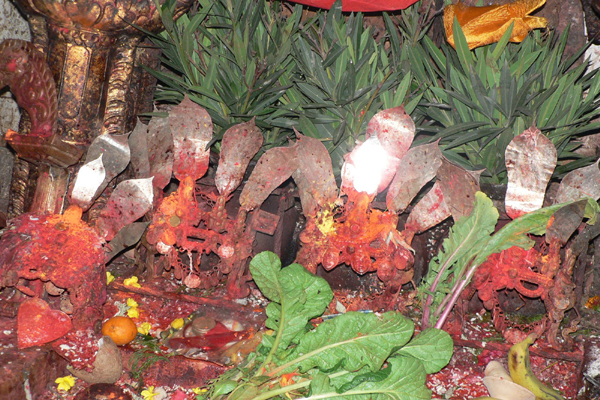 Goddess Harisiddhi trishakti bhavani is t he main attraction of Harisiddhi. Four Storey huge temple is another attraction of the village. 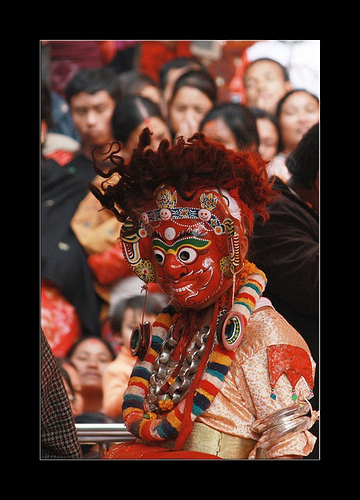 'Harisiddhi Jatra' is celebrated every year. 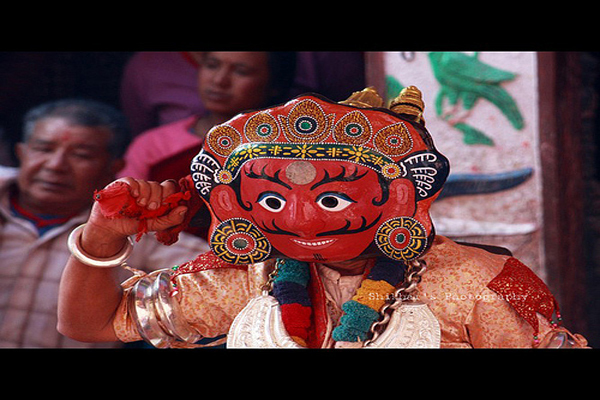 Generally it falls on the day of Holi Purnima. 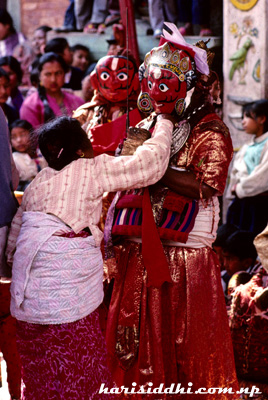 This jatra is also known as "Jalan Pyakha" by local language. This site will provide you detail information about all the cultural and religious monuments of Harisiddhi village. By clicking the options available inside this website, you can get various informations.For further information, please click the menus given to right side. Harisiddhi village is ahead in educational activities. There are about 8 schools run in this village. Environment factor, health factor are in good condition. Harisiddhi village has lots of possibility on internal and external tourism. Because of lots of historical and cultural heritages, This village has great important in tourism of Nepal. We welcome and request to all the people to visit Harisiddhi village once in their life and enjoy the beautiful scenery of ancient cultural and religious heritages . Harisiddhi is becoming famous among the national and international tourists. Click Here for More.